100% of the proceeds go to the charities Ian supports in SA - not a cent raised will leave the country. This will also be the last walk he will be doing, and marks the celebration of his 60th Birthday and the 30th anniversary of his first ever walk from John O’Groats to Lands End in Great Britain in 1985. The program with the dates and places outlining exactly what is happening is below. You can sign up and for R200 you can join in the fun and walk with Sir Ian on any of the days at any of the locations countrywide (see the map below - CT, Stellenbosch, PE, Durban, Jhb, Soweto and Pretoria). • 10 Dec – Day 1 - From The Table Bay Hotel to Llandudno beach. This will be a spectacular finish as it is on the beach and is stunning, Sir Ian walks through Camps Bay with the most amazing view of Table mountain. 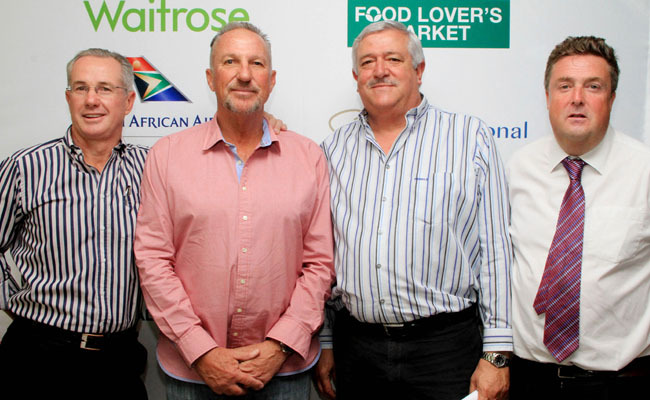 We are hoping for John Barnes to join in along with the British High Commissioner in SA on this day. • 11 Dec – Day 2 - From Hout Bay to Tokai with Nazareth House. The walk goes over the back of the Mountain finishing at the Food Lovers Market in Tokai. • 13 Dec – Day 4 - Port Elizabeth - down the coast, finishing at the Boardwalk hotel – where the Nelson Mandela Film Festival will be finishing the same day. This day is Chipembere’s so the tracking dogs will be with the walkers, a fun day! • 14 Dec – Day 5 - Durban - from the Springfield Food Lovers Market to the Umhlanga Pier. 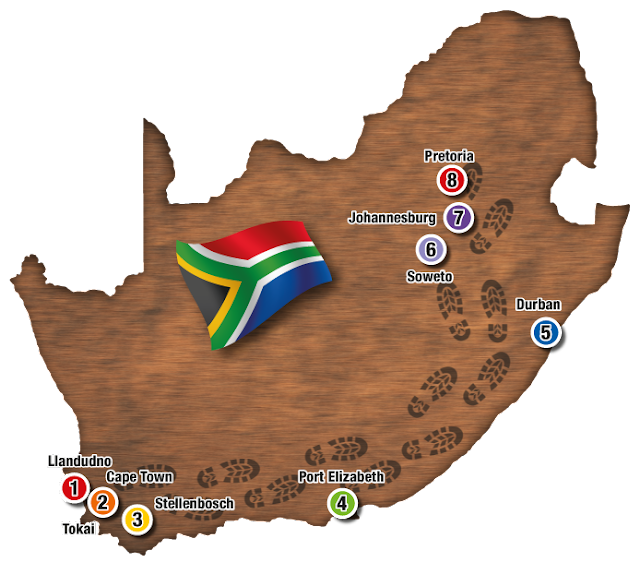 • 15 Dec – Day 6 - Soweto - the walk starts at Kliptown Youth Project, one of the charities, through the historic pasts of Soweto and finishing at Jabulani Mall, this will be an awesome day. • 16 Dec – Day 7 Johannesburg - Makaya Ntini is joining the walkers on this day and the walk finishes at the Mazlow hotel - this is The Waitrose Foundation day. • 17 Dec – Day 8 Pretoria - the final day in the capital, the walkers finish in Church Square. After the walk finishes Sir Ian will be going to The Palace at Sun City for a Post Walk Party. On the 19th he flies to the bush for 24 hours for a bush walk organised with vehicles to highlight the Rhino and conservation side of the charities he is supporting. I am looking forward to walk with him in one of these days and do my little bit for the charities. From DICE, an Electronic Arts Inc. studio, and Lucasfilm Ltd. comes the highly anticipated video game, Star Wars™ Battlefront™. Winner of more than 50 awards worldwide including the Best of Show recognition at E3, gamescom, Eurogamer Expo and Tokyo Game Show, Star Wars Battlefront delivers the epic Star Wars battle fantasies fans have always dreamed of, while allowing them to create all new memories of their own. The game is available today in South Africa on PlayStation®4 computer entertainment system, Xbox One, the all-in-one games and entertainment system from Microsoft, and Origin™ for PC. Starting on December 1, 2015, fans that pre-ordered Star Wars Battlefront will be among the first players to experience the Battle of Jakku, the pivotal moment when the New Republic confronted key Imperial holdouts on a remote desert planet. Taking place in the aftermath of the Rebel victory in the Battle of Endor, players will experience the events that created the massive, battle-scarred landscape of Jakku in Star Wars™: The Force Awakens™. All other players will get access to this content, for free, on December 8, 2015. Fans looking to enhance their Star Wars Battlefront experience can do so with the Star Wars Battlefront Companion. Available on web and in the App StoreSM and Google Play™ store, the Star Wars Battlefront Companion features the tactical, card-based game Base Command which allows players to earn in-game credits that can be used in Star Wars Battlefront. The Companion also lets you connect with friends, track your career, and more. The Star Wars Battlefront Companion is available now on web at www.StarWarsBattlefront.com/Career, as well as in the App Store and Google Play store. Players looking to expand their experience can with the Star Wars Battlefront Season Pass, which includes 4 epic digital expansion packs coming post-launch, including new weapons, vehicles, Star Cards, iconic heroes and villains, new maps and new modes. Season Pass also gives players two-week early access to each expansion pack and an exclusive “Shoot First” emote. Learn more about the Star Wars Battlefront Season Pass, including release dates and additional info, at www.StarWarsBattlefront.com/SeasonPass. Star Wars Battlefront is available now in South Africa at retail and digitally for the PlayStation®4 computer entertainment system, Xbox One, the all-in-one games and entertainment system from Microsoft, and on Origin for PC. 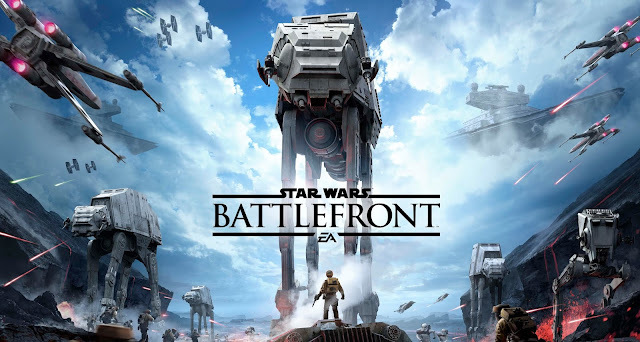 EA Access members can save 10% when they buy the digital version of Star Wars Battlefront on Xbox One. For more information on the game, visit www.StarWarsBattlefront.com and see the Star Wars Battlefront Launch Gameplay trailer here. Join the Star Wars Battlefront conversation on Facebook®, Twitter®, and Instagram®. 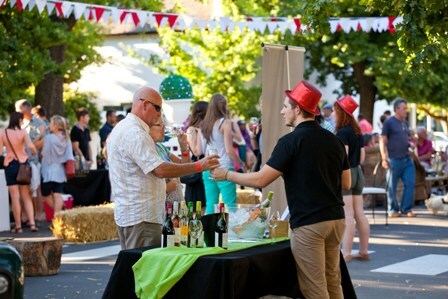 City of oaks’ popular bi-monthly street parties are back in town and now you can immerse yourself in the inimitable food and wine culture of Stellenbosch when the City of Oaks gets painted red to entice a hip crowd with its local tastes and tunes. 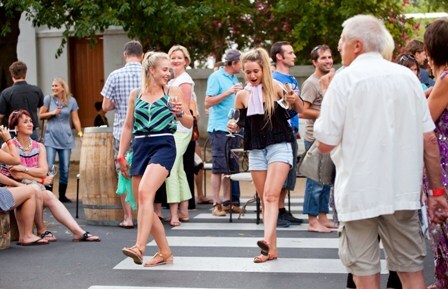 The first Stellenbosch Street Soirees for the season will spill onto the bustling Drostdy Street on 9 December, when cars will make way for locals and visitors to sip, savour and share in the enviable lifestyle of the country’s second oldest town. 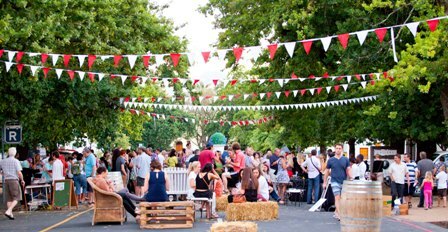 It is a vibrant, after-work street party where strangers become friends over a glass of wine with gourmet snacks by resident eateries and upbeat vibes by talented local musicians adding to a cool and casual setting. “Stellenbosch has a recipe for living that is hard to resist or come by. With these street parties we offer visitors a taste of our way of life through quality wines, delicious bites and live music. I cannot imagine a better way to spend a balmy summer’s evening, let alone better company to share it with,” shares Elmarie Rabe, Project Manager of the Stellenbosch Wine Routes. 9 December, 13 & 27 January 2016, 10 & 24 February; 9 & 23 March – weather permitting. 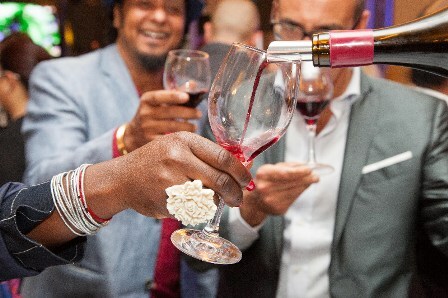 If you are serious about food and wine, then Stellenbosch at Summer Place 2015 is your gourmet ticket to exceptional culinary prowess, paired with the finest cellar gems from the City of Oaks, when this stellar showcase beguiles all senses in Hyde Park on Wednesday, 25 November. “This year our chefs, of which four are amongst the Top 20 nominees for the 2015 Eat Out Top Ten Restaurant Awards, will team up with prominent winemakers to create unique gourmet sensations paired to perfection with a curated selection of more than 80 top flight Stellenbosch wines,” she adds. 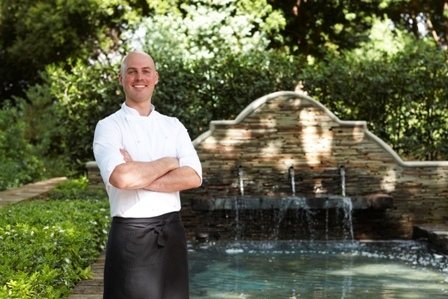 Stellenbosch at Summer Place is all about sharing the pinnacle of Stellenbosch’s finest pleasures with Gauteng for one night only. This unique gastronomic collaboration is not a sit-down experience, but rather a swanky mingling affair for guests to delight in all these culinary creations while they casually linger in an ambiance of sheer luxury. There will also be a Brandy Lounge with a grand selection of cheeses and sweet treats, where guests can relax in between all the tastings. This will all be experienced against a backdrop of live music entertainment and rare art pieces from the extensive Sanlam Art Collection. 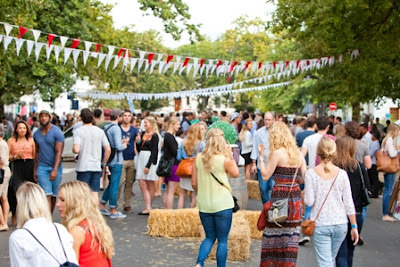 Tickets for Stellenbosch at Summer Place 2015, proudly brought to you by Sanlam Private Wealth, cost R500 per person and include all the wine, food and entertainment on the evening which starts at 18H30. Book now as they sell out fast. For more information or to buy your tickets contact Elmarie Rabe at Tel: 021 886 8275, send an email to events@wineroute.co.za or book online at www.wineroute.co.za. 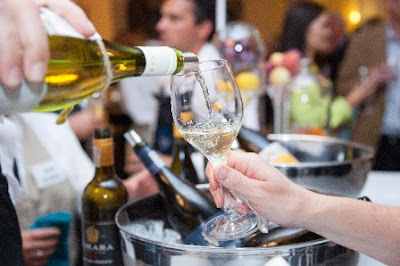 Also follow @StellWineRoute on Twitter. Disney Infinity 3.0 is the only game where players can experience the characters from Disney, DisneyPixar, Marvel and Star Wars – and play with them together. Want to see Luke Skywalker in a race with Cars Lightning McQueen from Cars? Want to find out who is stronger: Darth Vader or Marvel’s Hulkbuster? Discover the answers by playing Disney Infinity 3.0 ! “The Disney Infinity 3.0 Starter Pack gets you up and running with the game and two figures,” explains Producer Mat Solie. 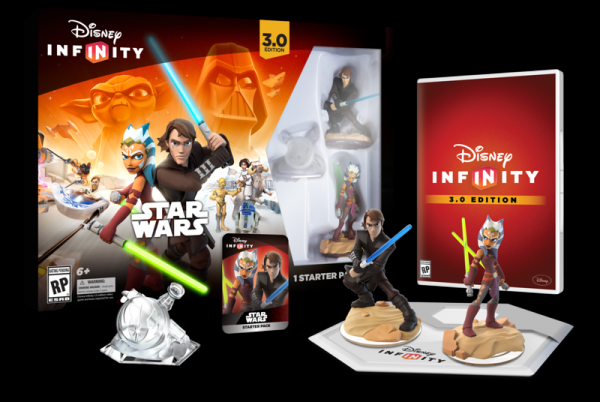 Battle against evil with Disney Infinity 3.0 Starter Pack, which includes Anakin Skywalker and Ahsoka Tano. Ready for combat, gamers? “You can battle with lightsabers, blasters and Chewbacca’s iconic crossbow in the new Play Sets,” reveals Disney Infinity Senior Producer Mobile, Sean Patton. The Star Wars Rise Against The Empire Play Set comes with Luke Skywalker and Princess Leia figures, but you can also add Han Solo, Chewbacca and many more to the game. The action is set within the timeline of the original movie trilogy, so there are tons of iconic locations to visit, including Hoth, Endor and Tatooine. Not a fan of Star Wars? Don’t worry! Disney Infinity 3.0 has other games and iconic Disney characters for you to play around with. For starters, there’s a Play Set based on the popular DisneyPixar film, Inside Out. There are tons of new Disney Infinity 3.0 figures to tie in with the launch. Alongside 15 Star Wars figures and five Inside Out figures, there will be Mulan, Hulkbuster, as well as Frozen fave, Olaf. You can even add classic Minnie Mouse and Mickey Mouse to your collection, too! There are also two exclusive Star Wars Power Disc Packs to add to the adventure. In the Star Wars Twilight Of The Republic Power Disc Pack, you will find General Grievous’ bike, two new terrains and the ability to team up with Mace Windu. In the Star Wars Rise Against The Empire Power Disc Pack, you will find a Y-Wing Fighter, as well as Bobba Fett’s Slave I ship. You’ll also nab cool disguises for Princess Leia and Luke Skywalker. Whoop! If you want to get some cash for your old phone, but without the hassle of advertising it in the classifieds, you could sell it to Zwipit. This company will pay you for your smartphone, refurbish it, and sell it to someone else. The online process is relatively simple and painless - Zwipit will arrange the courier and pay you once it has assessed your device. Some stores and networks offer great trade-in deals – offering you a discount on your new device in exchange for old phone. Phone around to find out what options are on offer. You’ll probably get a better price for your smartphone, if you sell it to another individual than if you sell it to a buyback service or trade it in. You can advertise the device on a site such Gumtree or OLX and if you follow these common sense tips (Gumtree), dealing through an online classifieds site can be safe and profitable. If you often need mobile internet access, it can be handy to keep an old smartphone as a portable Wi-Fi hotspot. You’ll have internet access wherever you go, without running down the battery on your new, primary smartphone. I was doing the same with my old Nexus One phone till Telkom mobile SIM didn't worked on the same and I now use it to post my photographs on Instagram. Provided that it’s not too old to run the newer games, an old smartphone can be an ideal mobile games machine for your child. And if you’re a gaming enthusiast yourself, why not turn it into a retro game arcade? Download those NES emulators and relive all the ages old games or the current games till they are supported by the old android operating system on your mobile device. Plug your smartphone into a loudspeaker, and then use an apps such as MixRadio or TuneIn Radio to turn it into a makeshift radio. You could also listen to some podcasts or load your own music onto the smartphone. Can also be used as a car stereo by plugging via aux cable and playing all your favourite songs while you drive or can be used to listen to audio-books or podcasts also. You could also pass your smartphone on to someone else - one of your children, a parent, house helper, or a charity - if you don’t want to sell it. You probably know someone who could use your phone, even if it’s really old and basic. If your smartphone is broken beyond repair, you should dispose it off in an environmentally friendly manner. Take it to one of the many e-waste disposal sites around the country rather than simply chucking it in the bin. This will ensure that as many components are salvaged for reuse as possible and prevent some of the nastier chemicals that go into a phone from ending up in a landfill. The HTC Desire 626 is available at MTN stores nationwide and shop.mtn.co.za for R269 per month over 24 months and includes 30GB data once off. With less than a month to go, preparations and rehearsals are well under way as the countdown to Red Bull Beat Battle: The Final Move begins. On the 21st of November 2015, eight illustrious dance crews will own the stage at Walter Sisulu Square in Soweto ready, as ever, to showcase some of the finest talent the country has to offer. They’re joined by a throng of hot local music acts, including Stilo Magolide, Kid X, Thebe, Twins on Decks and DJ Speedsta - a lineup sure to make it a night for the books. 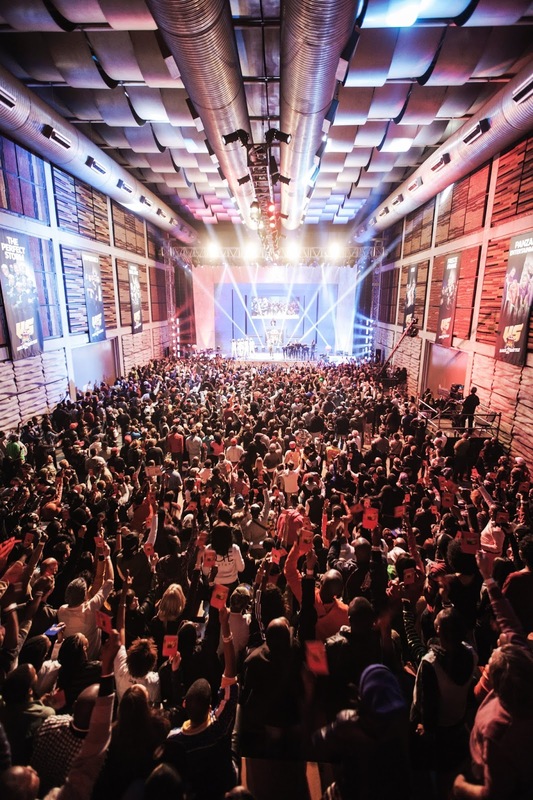 Revelers at this year’s Red Bull Beat Battle will have a host of entertainment to look forward to come on 21 November. Not only will they witness South Africa’s best dancers go toe-to-toe in the ultimate clash of crews, they’ll also get to take in performances by Kid X, Thebe, DJ Speedsta and more. Get ready to see some amazing dance steps and choreography by these amazing people. All the best! In South Africa Total South Africa launched the Challenge "Startupper of the year" to find ideas that can bring change to not only the individual but also to the society as a whole. Initiated by the Total Group in 34 African countries simultaneously, this contest aims at identifying, rewarding and accompanying the best projects in enterprise creation or development (less than 2-year old) in South Africa. The winning projects will be granted the Startupper of the year 2016 by Total title, enroll in business coaching and a chance to win a share of R1 200,000 worth of prize money. This call for projects is free and open to any South African citizen, maximum 35-year old. The application process will start on 1st November 2015 (8.00 AM GMT) and is directly available on the website: http://startupper.total.com/. Candidates will be able to apply until 31st January 2016 (11.00 PM GMT). A jury of professionals will pre-select up to ten of the best projects in South Africa based on the following criteria: how innovative, original, daring the project is, its development potential and its capacity to improve the living conditions of the populations. The finalists’ list will be published on the website of the contest, following the final selection phase, which will end by March 15th. After candidates’ defense, the jury will choose the best projects - three maximum – and the results will be announced during the awards ceremony. The whole contest rules are freely available on line on the dedicated website (http://startupper.total.com/). The Challenge "Startupper of the year by Total" is part of Total’s global initiative of supporting the socioeconomic development of all the countries where it operates worldwide. It is a very concrete action launched to locally contribute to the reinforcement of the industrial fabric and to employment on the African continent, by supporting the most daring and innovative entrepreneurs in realizing their project. This approach targets the emergence of new initiatives, while respecting the Total Group values. 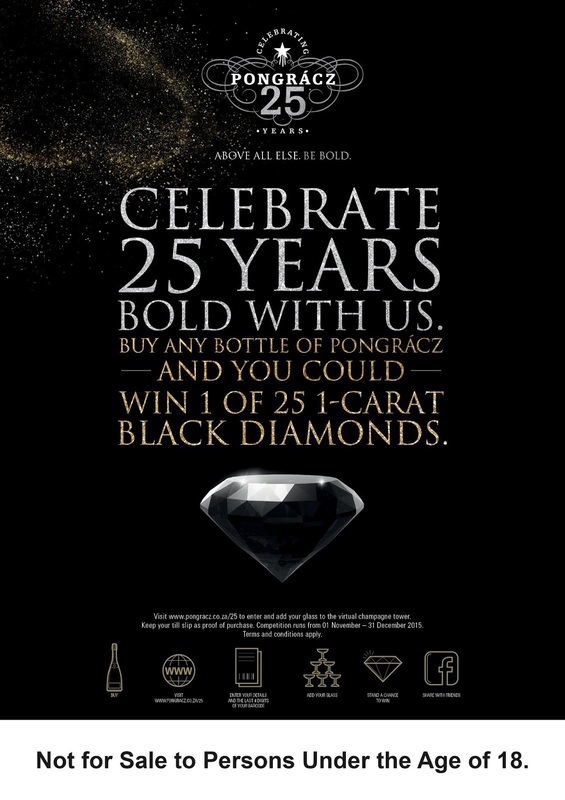 Pongrácz, South Africa’s leading Méthode Cap Classique is celebrating 25 years of bold pioneering prowess by affording bubbly lovers with the opportunity of acquiring their very own 1-carat black diamond. 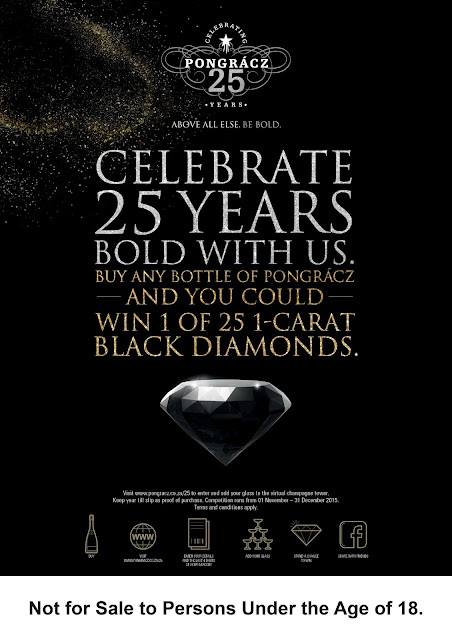 Until 31 December, Pongrácz offers Cap Classique enthusiasts the chance to be rewarded with one of 25 1-carat black diamonds, each one symbolising a quarter century of refined craftsmanship. This will be a perfect gift to your loved ones if you are lucky enough. 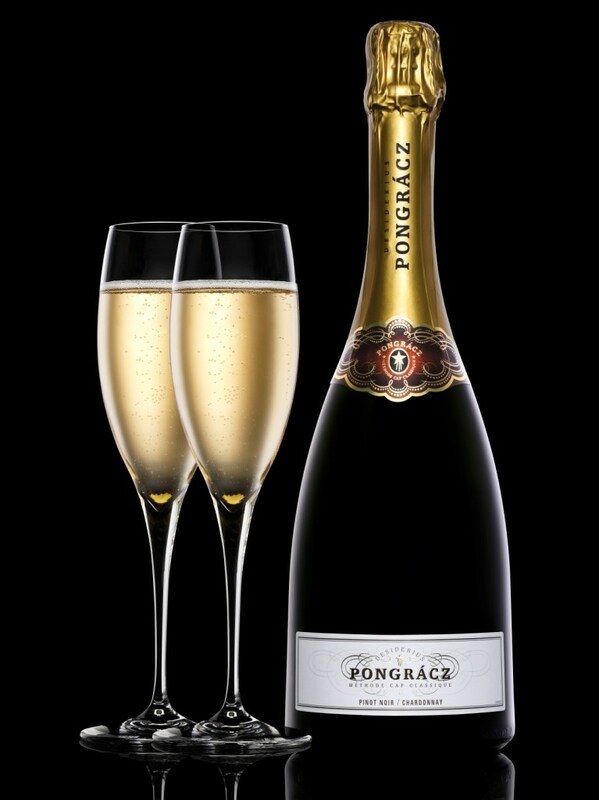 To qualify, purchase any Pongrácz Cap Classique, including Brut, the elegant Rosé or the grande cuvée, Desiderius 2008 during the festive season and add your glass to the virtual champagne tower at www.pongracz.co.za/25. The last four digits of the barcode on your bottle is your passage to entry. Remember to retain your till slip as proof of purchase should your glass be adorned with a Pongrácz 1-carat black diamond. Be sure to share this information with your friends on Facebook. Pongrácz, made in the classic French tradition, but proudly on South African soil, was launched in 1990 in honour of the bold, pioneering spirit and life’s work of viticulturist Desiderius Pongrácz. For more information, visit www.pongracz.co.za, www.facebook.com/PongraczCapClassique or follow Pongrácz on Twitter at @Pongracz. The entire range is available for purchase at www.vinoteque.co.za. Sure to be on music lovers’ wish lists this festive season is a set of nifty yet powerful iFrogz headphones made available in South Africa by Gammatek. Gammatek was established in South Africa in 1999 and strives to be the leading distributor of Branded Technology Accessories in Southern Africa. There are three innovative, on the go headphones available from iFrogz: the iFrogz Toxix Plus, iFrogz Luxe Air and iFrogz FreeRein. iFrogz FreeRein Reflect headphone is the leader of the pack for discerning music enthusiasts. These wireless, Bluetooth enabled headphones deliver up to 13 hours of blissful sound, without bothersome wires. 40mm Drivers ensure a balanced sound that is ideal for any type of music at any volume. The rotational cups allow the wearer to listen comfortably for hours and then neatly fold up for easy portability. The iFrogz FreeRein Reflect comes with a 3.5mm jack for wired connections as well. The built in mic and onboard controls mean that the user can conveniently manage their calls and music. iFrogz FreeRein Reflect headphones are priced at R999. 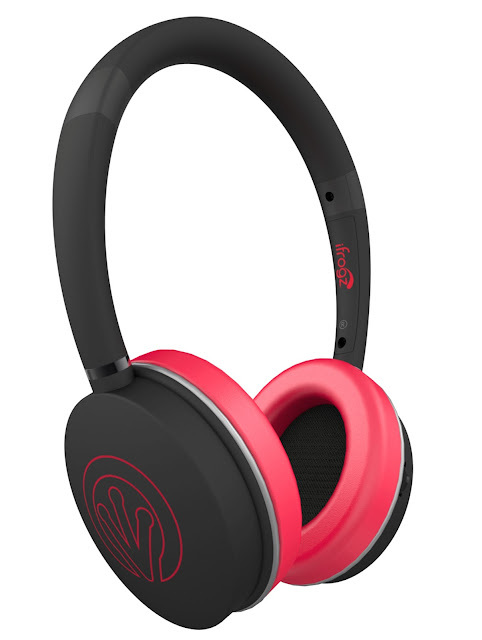 iFrogz Luxe Air headphones are ultra light and feature rotational speakers that fold in for easy storage. 40mm Drivers deliver solid sound without annoying vibrations while the padded ear cups provide the perfect, comfortable fit. The headphones feature a Storage Clip cable management system, complete with an in-line, single button remote / microphone, to stop cables from getting in the way during activities and offer the convenience of managing calls and music with one button. Sleek and light weight, the iFrogz Luxe Air come in a range of metallic colours. 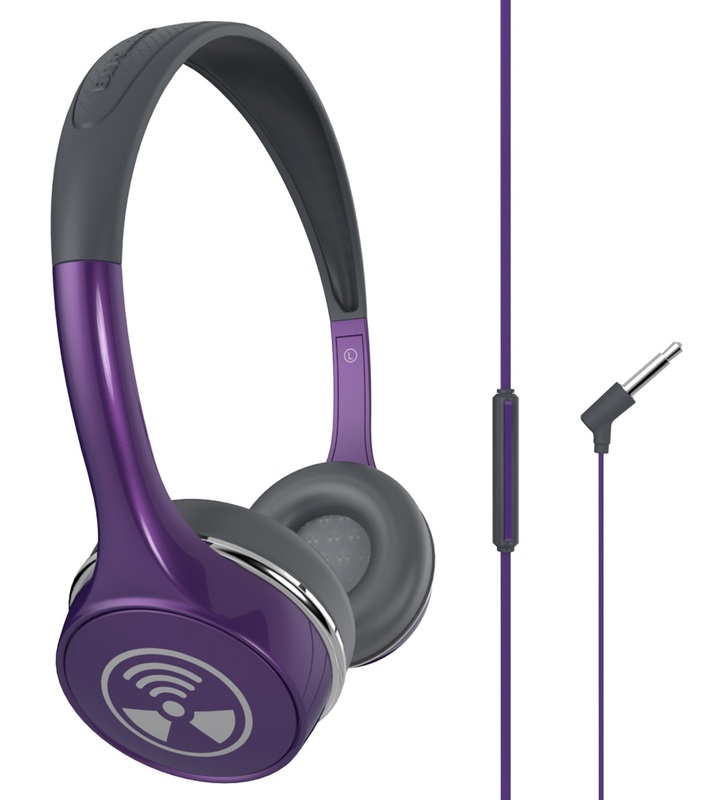 iFrogz Luxe Air headphones are priced at R699. The latest iFrogz earphone is the Ear Pollution Toxix Plus Earphone. These fashionable audio headphones feature a built in mic to allow the wearer to easily manage their music and voice calls. These iFrogz earphones feature a booming 30mm driver whichdelivers pounding bass and robust stereo sound. The built in mic is located on a flat, 1.2 metre, tangle-resistant cable for easy access. The cable ends in an angled jack that helps prevent accidental dislocation from media devices. The Ear Pollution Toxix Plus earphones are lightweight for utmost comfort and come in a range of modern metallic, ultra glossy colours, priced at R299. I bought the previous version of Ear Pollution last year at sale from GAME store for R112 and it's simply amazing headphones at that price range with good sound quality. These must-have iFrogz earphones are available at leading retail outlets. 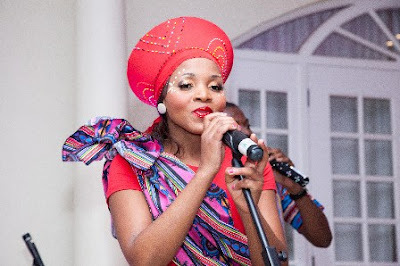 For information on your nearest stockist please contact Gammatek on 011-201 0800. 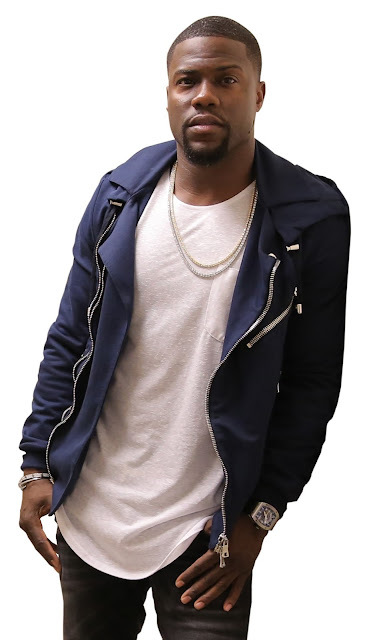 The company also distributes products that offer an added value proposition in terms of brand value and range and is currently the sole distributors of Body Glove, Boostcase, Cookoo, Cogito, Dotz, Element Case, Fitbug, Golla, Happy Plugs, iFrogz, Jarre technologies, Luci, MyKronoz, Mpowered, Native Union, Nitho, Ozaki, Plantronics, Ridata, Speck, Photofast Iflashdrive, SMS Audio, Snug, Swiss Mobility, Tiesto, Tylt , Unplug, Wicked, White Diamonds and Zagg. For more information on Gammatek’s product range please visit www.gammatek.co.za or follow them on Twitter @gammatek and Facebook.